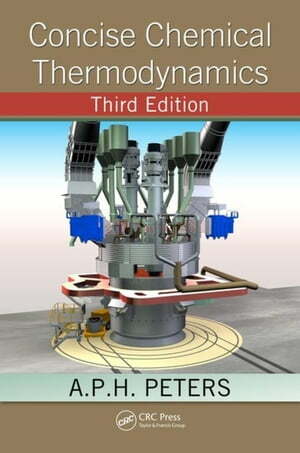 Collins Booksellers - Concise Chemical Thermodynamics, Third Edition by Peters, A.P.H., 9781439813331. Buy this book online. The first two editions of Concise Chemical Thermodynamics proved to be a very popular introduction to a subject many undergraduate students perceive to be difficult due to the underlying mathematics. With its concise explanations and clear examples, the text has for the past 40 years clarified for countless students one of the most complicated branches of science. Following in the tradition of its predecessors, this Third Edition continues to offer a practical, example-based exploration of a critical topic, maintaining academic rigor but eschewing complicated calculations. This latest edition re-works problems that have proven to be the most difficult for students and adds several new ones to further amplify complex areas. The book also provides an updated list of suggested readings. Keeping pace with new technology and the shift in emphasis to green chemistry, this volume provides an up-to-date treatment of a foundational topic.